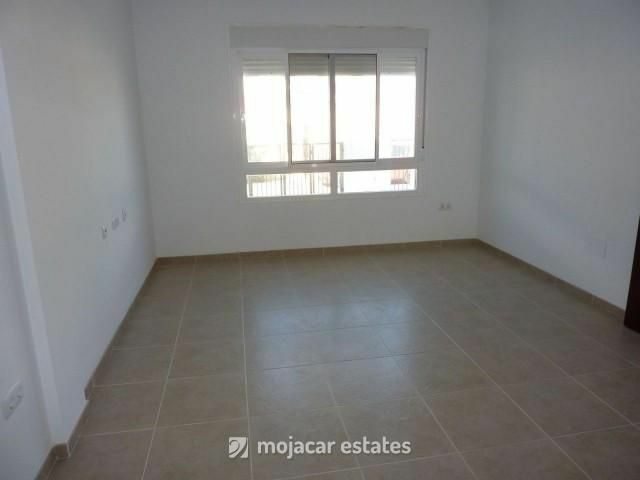 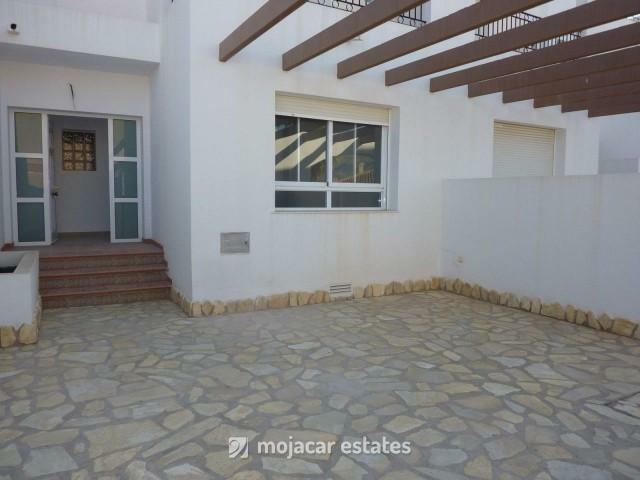 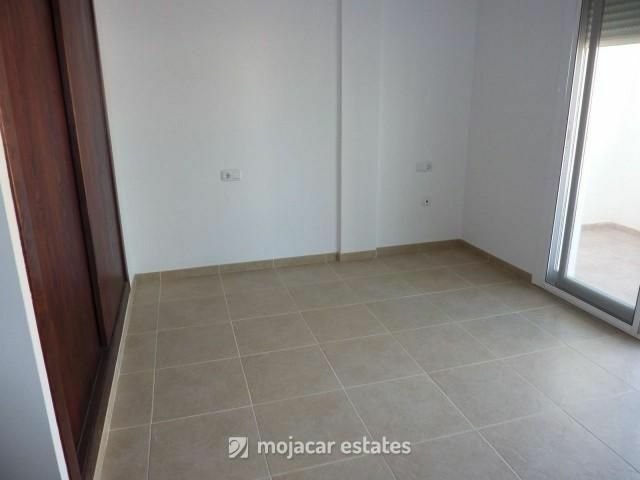 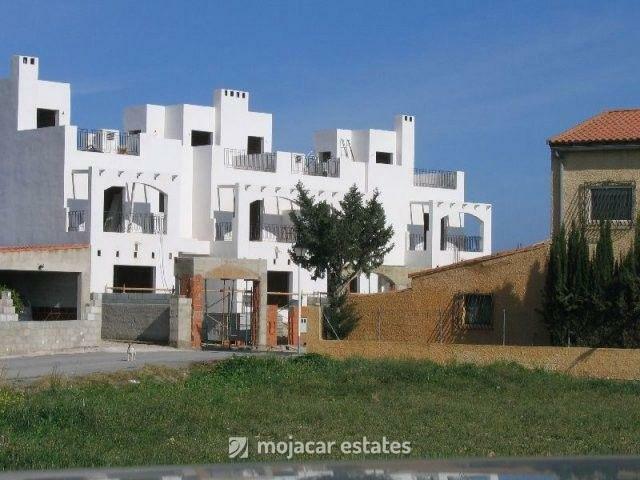 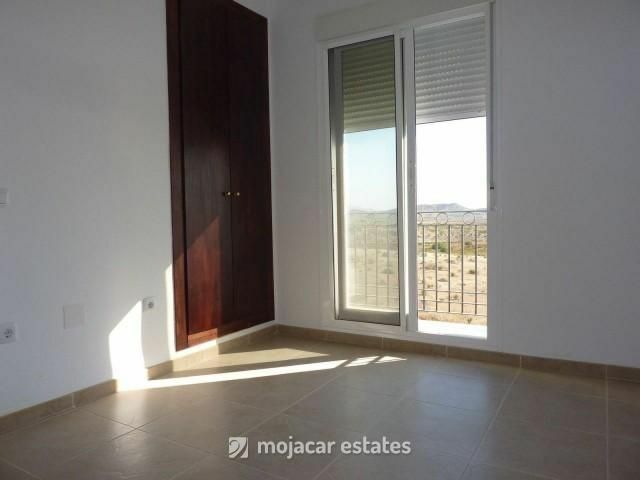 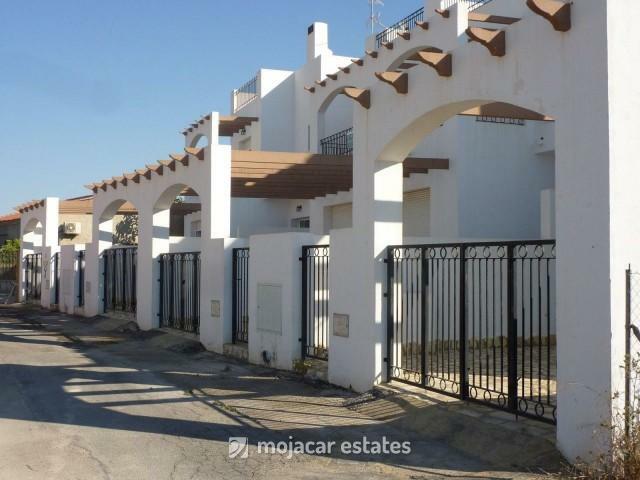 Brand new terraced townhouse ( 125m²+ terraces) with 4 bedrooms and 3 bathrooms situated in the area of Las Alparatas near Turre. 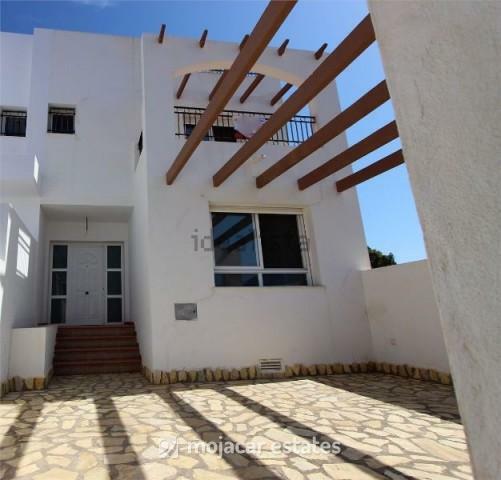 The ground floor consists of front terrace with private parking, covered terrace, entrance hall. 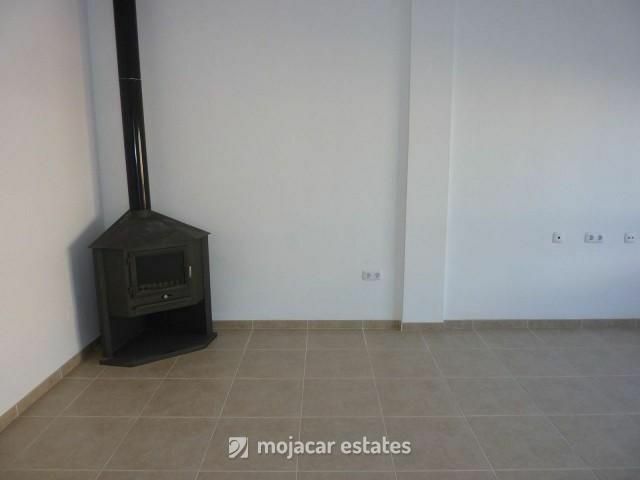 lounge-diner with wood burner, 1 bedroom, 1 shower room and fully fitted kitchen inc white goods, with access to rear patio. 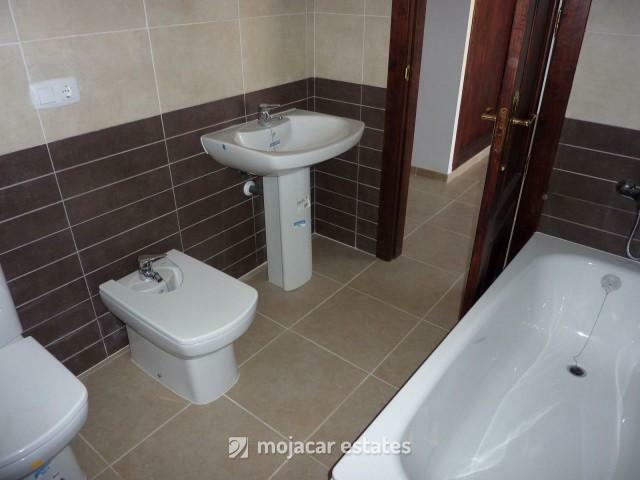 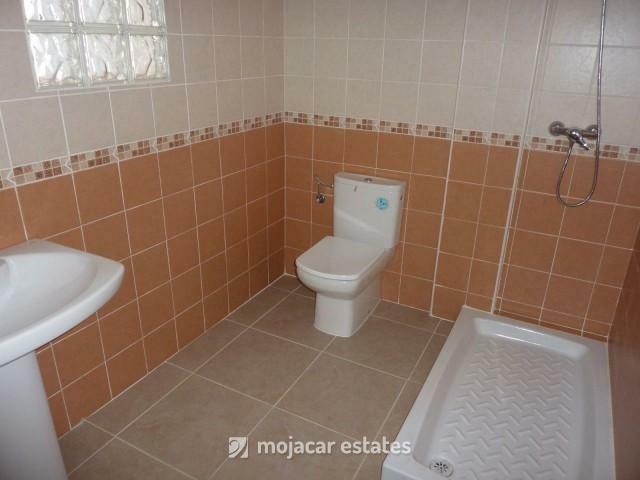 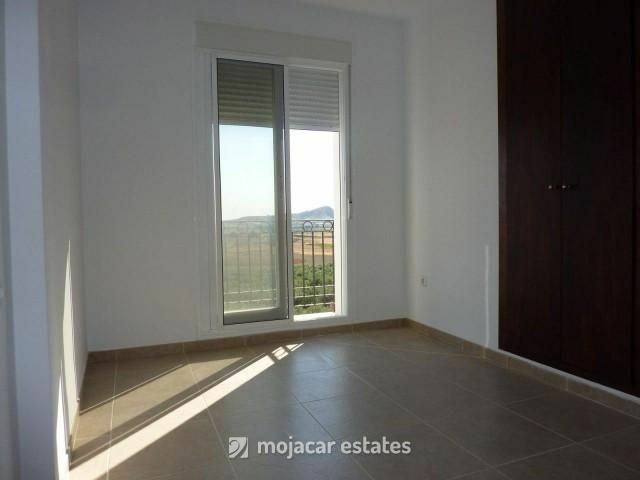 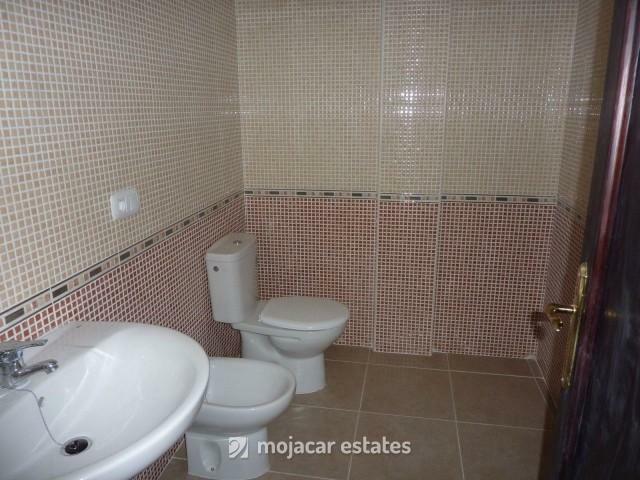 There are 3 bedrooms, 2 bathrooms (1 en suite) and terrace upstairs. 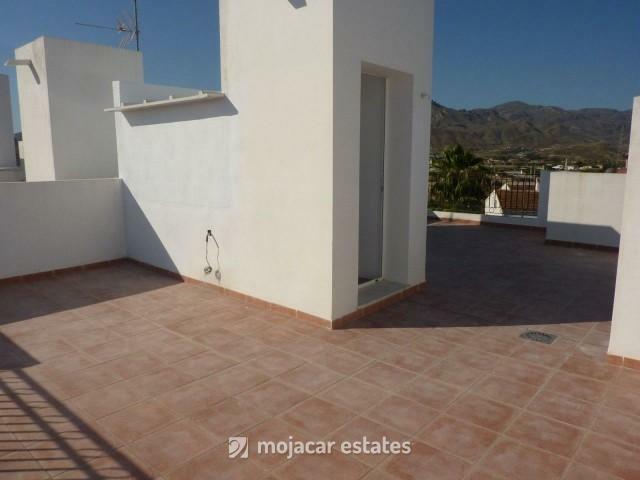 A second flight of stairs leads up to roof terrace. 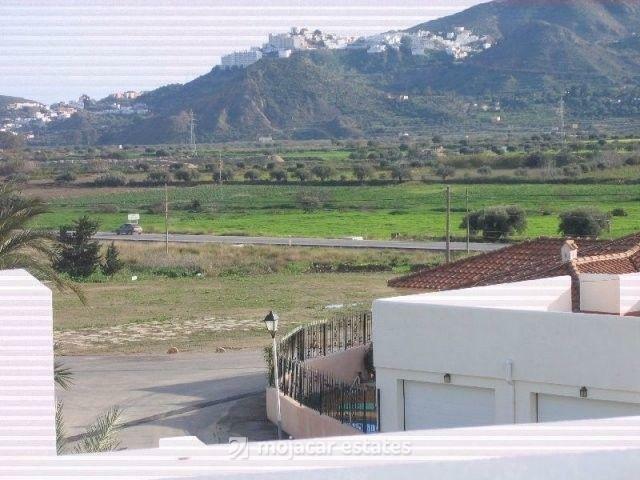 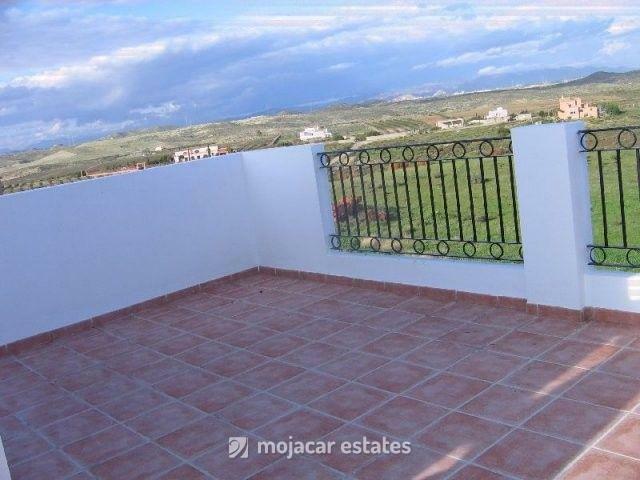 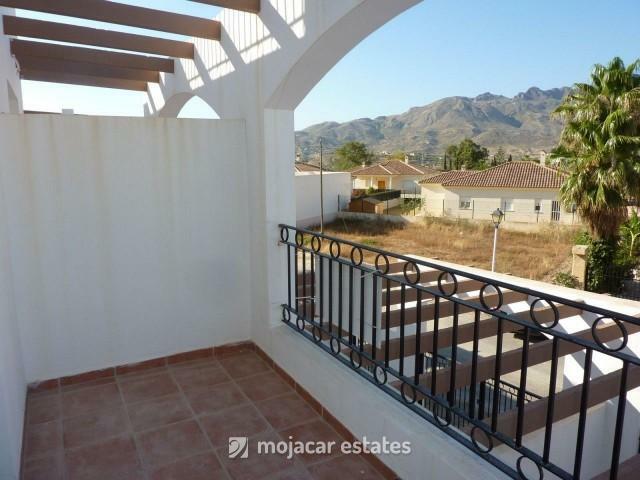 Lovely views towards Mojácar Pueblo and countryside. 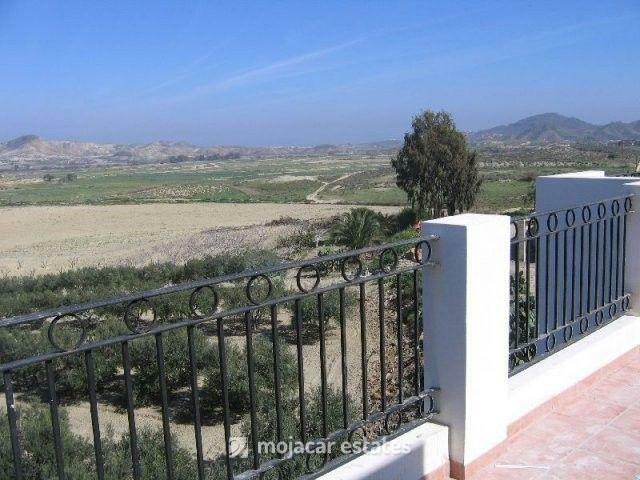 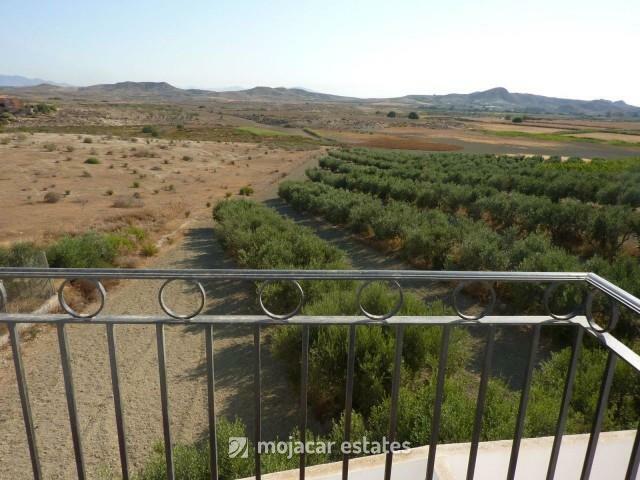 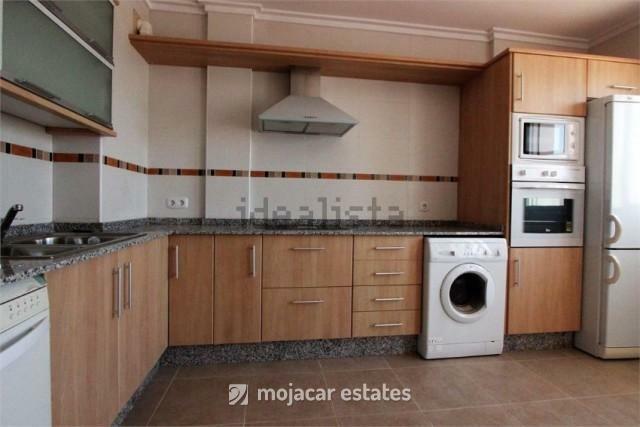 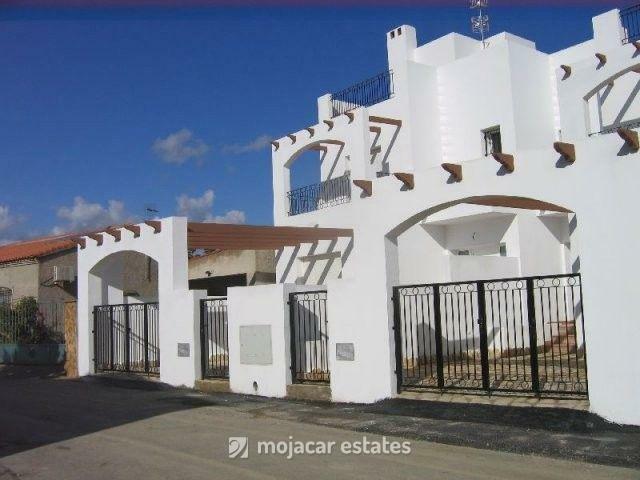 Only 5 minutes drive to the coast of Garrucha and 5 to 10 minutes drive to the coast of Mojacar.